Between GKIDS Films and Disney, almost every film from Studio Ghibli has now been released in the United States. 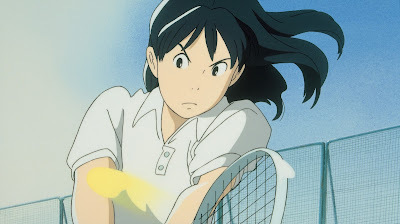 Isao Takahata's Only Yesterday was one of the last hold-outs, finally arriving in the US this year, only 25 years after its original release. 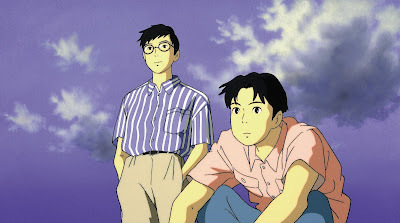 One more Ghibli production that has yet to be released in North America is Ocean Waves, a 1993 film directed by Tomomi Mochizuk. Based on a novel by Saeko Himuroy, it was originally made to be screened on Japanese television. 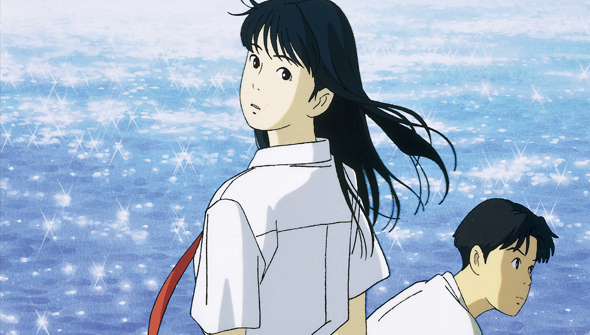 Although made for TV, GKIDS are going to give viewers in the US a chance to see it in cinemas in a brand spanking new 4K restoration. It will be receiving a limited run at New York's IFC Center from December 28th, and will also screen for one night only in LA's Egyptian Theatre. It will then screen at select cinemas in the US and Canada throughout January, February, and March. A home release will follow in spring 2017. Ocean Waves was the first Studio Ghibli film directed by anyone other than Hayo Miyazaki or Isao Takahata and functioned as a training exercise for Studio Ghibli's younger staff at the time. The plot revolves around a pair of teenage friends who's relationship is tested by the arrival of a beautiful new transfer student. Although never released in the US, Ocean Waves has been released elsewhere, receiving DVD releases in the UK and Australia some time ago.